What’s Mindy Kaling’s Future on The Office? Now that Steve Carell has left The Office, there are two burning questions for fans of the show: Who will replace him? 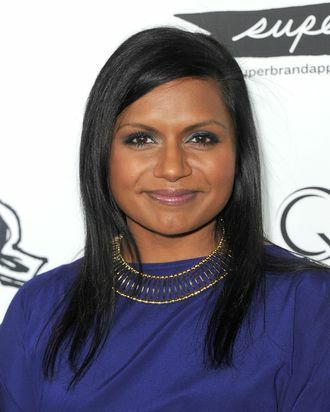 And what’s up with Mindy Kaling, whose contract with the show expires at the end of this month? Vulture investigated, and while we don’t have a definitive answer, we can say this: While there’s a good chance she’ll continue to appear onscreen as Kelly, her behind-the-scenes role as a writer-director of the NBC hit is still very much up in the air. Kaling has made no secret of the fact that her relationship status with The Office might be changing, telling New York Magazine last fall she could see this season as her last. Since then, the focus has been on Carell, but with work about to start on season eight of the show, it won’t be long before the issue has to be settled. We’ve talked to numerous insiders today (and Paul Lieberstein spoke to TV Squad), and the general consensus is that Kaling seems very likely to continue with her on-air role. While it’s important to note that there’s nothing in writing guaranteeing she’ll be back as Kelly, industry insiders say NBC wants her to return and that those associated with the series seem to be working under the impression that Kaling wants to continue acting on the show. But Kaling’s also busy with other projects. She’s got a book coming out (Is Everybody Hanging Out Without Me? ), and she’s in demand for movie roles (including the upcoming Five Year Engagement, opposite Jason Segel and Emily Blunt). And while nothing ever came of a development deal she signed with NBC a few years ago (blame exec turnover at the troubled network), a Kaling-penned series continues to be seen as inevitable by many in Hollywood (particularly if this spring’s rash of new female-focused half-hours ends up connecting with viewers). Insiders say there’ll probably be some resolution to Kaling’s status sometime this summer. For now, we’ll have to make do with Kaling’s music reviews on Twitter, like this one for Lady Gaga’s latest single: “I guess I don’t love songs that seem like the record company’s main priority is for it to be in a Chili’s ad during the Superbowl,” she wrote this afternoon. Not that anyone associated with The Office would ever dis the Chili’s.